You present us with your requirements and we will automate the solutions according to your budget. Custom projects. Adaptation of machinery available to the space. Degree of automation customized to customer needs. Aftersales Remote Assistance to the components of the line. Ease of operation via HMI SCADA on PC. 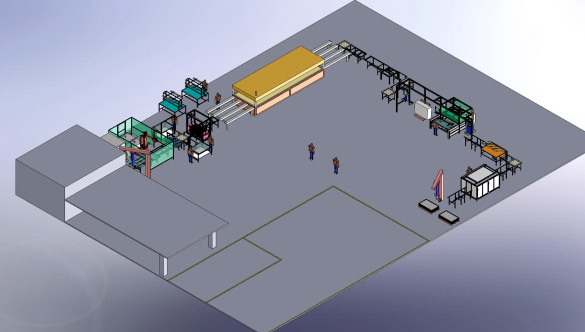 Provision of fully modular machinery that allows us to set up lines of 1.5MW to 50MW lines. 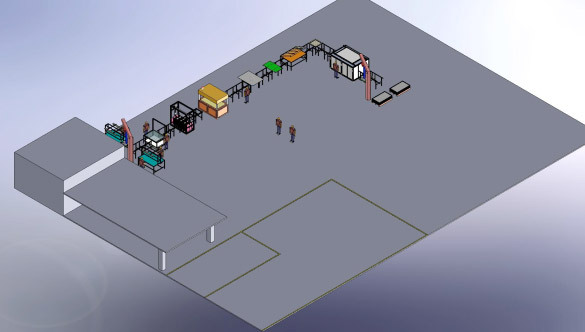 Research and development of equipment, machinery. Location and consolidation of suppliers. 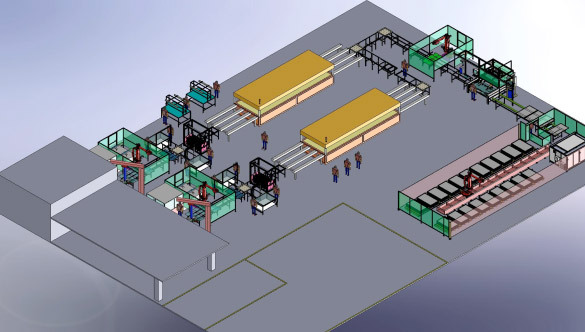 Design of the modules to be manufactured. Assistance with the homologation of modules.